I feel like I'll never have the right words to describe it. By "it", I mean the feeling that I get from watching it. The unexplainable breathlessness when I listen to the words of creator and writer Mark Schwahn. 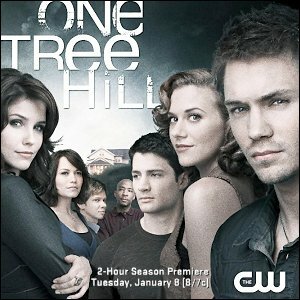 The indescribable ache I get when the One Tree Hill banner flashes across the screen. When "I Don't Wanna Be," by Gavin DeGraw, begins to fill the room. The passion in my heart when the opening voiceover from Chad Michael Murray starts to play. It may be untenable for most people, and for most people incomprehensible. But I do not and will not ever care if anyone understands how this show makes me feel, but I would like everyone to take the chance and try to learn why. In 2004 history was made - One Tree Hill aired on the WB. Season one was a success, filled with emotion and action. People across the nation began to watch and understand One Tree Hill and the city where it took place. As season one progressed, each episode getting more intense and passionate, people began to realize there is no place like Tree Hill. Season two came along and surprised everyone with a new twist, new characters, and new chances. Tree Hill suddenly became a place of risk - and regret. But not long after, season three came stumbling to the top of Tree Hill success, adding a few more twists to the already jumbled plot. Life became more complicated, and love became the only glue that held people together. Passion, mistakes, regret, risk, and happiness combined themselves into a puzzle of confusion in season four. Secrets and lies surfaced among the Tree Hill gang, and long held-in hatred manifested itself in the murder of a beloved friend. As season five comes to a close, these are the things and feelings we remember from One Tree Hill. We remember there is, and always will be, only one Tree Hill. This last line could have worked well as my conclusion sentence, but my work here is not done. In order to show you the true excellence of this television show I must commend the people who make this show what it is. 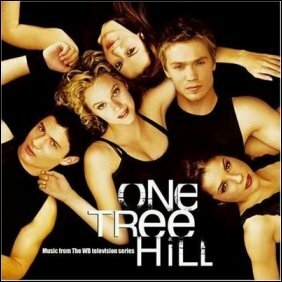 People by the names of Chad Michael Murray, Bethany Joy Galeotti, Sophia Bush, James Lafferty, and Hilarie Burton. We've all heard the name Chad Michael Murray. When you hear it, don't you think, tall, blonde, gorgeous blue eyes, and the best seductive stare on a man ever? I mean if they had an award for cloudy eyes, pouty lips, and the ability to make every girl's heart melt, he'd win, hands down. But besides his gorgeous profile, he's an accomplished and convincing actor. He has been seen in such movies as A Cinderella Story, Freaky Friday, and most recently House of Wax. Bethany Joy Galeotti was last seen in the movie Bring It On Again, sequel to the well known Bring It On. She played a stereotypical college cheerleader who seriously wanted to be captain of her squad. 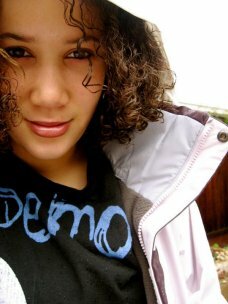 Think of the name Sophia Bush and you think star. She is gorgeous, and a fabulous actress. She has shown her strengths in movies such as John Tucker Must Die, Stay Alive, and the recent remake of The Hitcher. Her co-stars in One Tree Hill, James Lafferty and Hilarie Burton, have not been seen in any big screen movies recently, but keep your eye out for these up and coming stars. Hilarie is scheduled to appear in 2009's The Secret Life of Bees, the movie adaptation of a novel by Sue Monk Kidd. You may be thinking, Besides Chad and Sophia, what's so great about this television show? Why should I watch it? Well, this show is not just some ordinary and unrealistic piece of work. It's an original story, created by mastermind Mark Schwahn, whose writing combines beauty and courage to the best of his ability. Schwann writes episodes that are based on true stories and obscure things that happen in everyday life. He has created a diamond in the rough. By watching One Tree Hill I have learned some priceless life lessons. In episode 308, titled "The Worst Day Since Yesterday," Chad Michael Murray quotes Robert Louis Stevenson: "'You cannot run away from weakness; you must fight it out ... or perish. And if that be so, why not now, and where you stand?'" I learned from this to never give up, to work hard every day, and to fight for what I want. Television shows that have the ability to inspire only come around so often, and this is that show. The words, actions, and abilities of the characters create a world that exemplifies the people, problems, and ideals of our world. I guarantee that by watching this show you will find some song, someone, or some quote that inspires you to be more than you are.